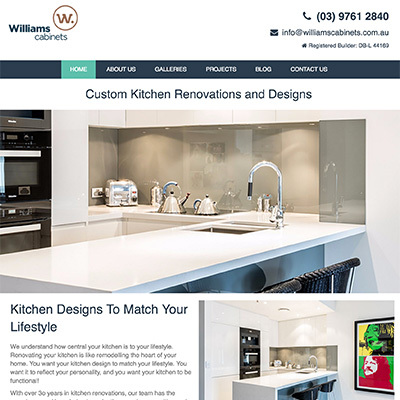 Williams Cabinets are cabinet makers specialising in custom kitchen renovations. Like many businesses, Williams Cabinets had a website. It was, however, not doing anything for them. It was outdated, never updated, and perhaps doing more harm than good. But this was a business looking to go forward in a big way. They had a quality product and wanted the world to know about it. But, like many businesses, they had no clear strategy for doing so. So, we began working together to achieve the results they wanted. This is probably one of the most challenging sectors we've worked in. That doesn't scare us, and we're happy to be upfront about it. We love a challenge! Cabinet Makers appear to be everywhere! These guys are more than cabinet makers though. They are kitchen renovators. So, this is where they wanted to target. There are many long established kitchen renovation companies in this space, so it's not easy. While Williams Cabinets has been around for a long time, they are not a household name, and until recently were marketing online. For many year they provided the cabinetry for some of the big names in the industry. Now it's their turn, and they are building their brand and presence. To begin with, we built a website to showcase their work. 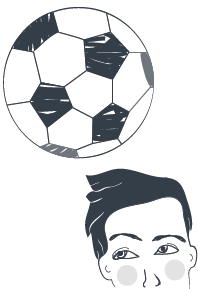 At this stage the focus is on building the content within their site to support the great work they are doing on client projects. It takes time of course to do this, and it has its frustrations. Our job is to keep them focused on the goals. We're making inroads, and we'll continue to do so! We haven't quite jumped the long established companies yet, but we're in the mix, and we are starting to win the battle. The key is to keep at it! A website is one of many tools available to market a business online. Right now it's the focus, but over time that will spread out to other media. It's important to get each part right and then build on the it. A solid foundation for future reward. We have no doubt that Williams Cabinets will be richly rewarded for their effort. They have a quality approach to everything they do, as evidenced by their beautiful work.